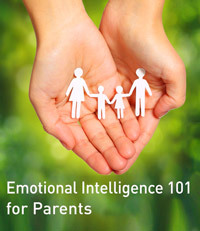 Join EQ101P to increase emotional intelligence in your family. In this course, you will be introduced to the concept of “parenting with emotional intelligence”, why it’s important in parenting, and learn some simple & proven techniques to practice EQ with your families. Through EQ, You will know WHAT you are feeling and recognize your parenting patterns; HOW to navigate the often treacherous parenting waters; WHY is important to validate yours and others’ feelings and still think through our options, creating a more intentional, less impulsive response to a situation. EQ will support you to remain optimistic that a given challenge is temporary, isolated, and effort is possible to overcome it. In other words, this too shall pass. 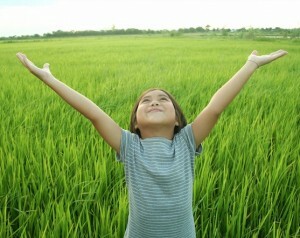 EQ will teach us to feel empathy for ourselves as parents, and better hear what our children need. In an international survey to plan this course, as parents, we said we would like to build more positive, supportive relationships with our children – with more peace rather than reactivity & conflict, more collaboration and self-motivation rather than pushing, more resilience and perseverance rather than perfectionism. To meet these wishes, an international committee of emotional intelligence experts volunteered to create this powerful program. Over 100 people from over 12 countries have participated in creating EQ101P, freely offering their expertise as parents as well as emotional intelligence trainers, coaches, and researchers. What is “Emotional Intelligence” and why does it matter to parents? Why do parenting and emotional intelligence go hand in hand? We all want to be the best parents we can be and raise happy, healthy, and successful children. As parents, we experience many joys as well as moments of great difficulty; we face many challenges from within ourselves, from our children, from others in our family, and from our schools and the environment in which we live. We, parents from around the world, who have contributed to this course are convinced that EQ can help.EQ can help us, as family members, to know ourselves better, to make better choices, and to remind us of our purpose in parenting and the outcomes that we truly want for our children and for ourselves. Using an EQ model, such as Six Seconds, provides a common language or framework for talking with adult partners and with our children. As parents we can model EQ for our children, and using the language of EQ, take advantage of many a teachable moment.In this course, You will find many wonderful stories, videos, tips and strategies for parenting with EQ. We look forward to sharing them with you. For more background, click here for a clear introduction to emotional intelligence. If you are interested in the Six Seconds Model and the 8 EQ Competencies, click here to read and enjoy an article about Six Seconds EQ Model.